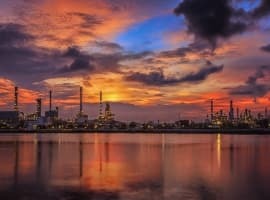 The oil market rebalancing is in progress, even if it is slower than expected, according to releases by Societe Generale and RBC Capital Markets. When OPEC first agreed to cut production in November, analysts were hoping that six months of reduced production would be enough to rebalance the oil market and draw down inventories. However, according to Societe Generale OECD crude and product stocks at the end of April were 56 MM barrels higher than at the end of December. OPEC was essentially forced to continue cuts, which were agreed to in late May. 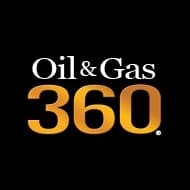 Societe Generale reports that if cut compliance is maintained, oil stocks will begin to decrease in the rest of the year. Global oil demand is projected to grow by 1.3 MMBOPD this year and in 2018. This increased demand, combined with decreased output from OPEC, means that the implied drawdown is 0.6 MMBOPD in 2017 and 0.5 MMBOPD in 2018. Both years will see most drawdowns in the second half of the year. (Click to enlarge) Related: Can Canadian Crude Compete In Asia? According to RBC, inventories are already decreasing, though it may not be obvious. Total OECD oil stocks are about 280 MMBO higher than the five-year average currently. However, this is primarily due to the U.S. American stocks account for nearly 70 percent of the excess in storage currently. This situation has led RBC to predict that the U.S. will be the last major region to rebalance. However, RBC does anticipate that stocks will eventually balance out, probably in mid-2018. Both firms have decreased their predicted oil prices as a result of the slow drawdown on global inventories. Societe Generale expects WTI to average $53.80 in 2017 and $57.50 in 2018. RBC sees similar WTI prices, predicting $53/bbl in 2017 and $59/bbl in 2018. After this, prices will rise over the next few years to $75/bbl, as the need for investment in major projects requires increased pricing, according to Societe Generale’s analysis. It is safe to say any price between $147.00 and $26.00 is attainable. We lived in a world in 2014 where the price of oil would not go below $60.00, then fell to $26.00. Most were shocked. Now we are questioning if oil will go to $75.00. hmmm. I assume if it does...most will be shocked. Also, in this industry you cant say..."yeah, but this time its different". Electric cars do not use gas. Solar electricity does not need gas. Liquid gas available in abundance for industry. So who will need the Arab oil in 5 years time? I don't know. USA has enough, Azerbaijan is exporting now, Kazakstan is exporting now, Israel in huge amounts will soon be exporting along with Egypt and Cyprus. I say oil will go to $20 next year. Oil will hit 75$. By the end of the year easy.